Here in the Philippines, there’s nothing bigger than news of personalities who die young. Whether they’re big-name or beginning actors, they make headlines. Soon, fitting tributes happen in their respective home networks. These networks make a business of showing people that this talent was indeed loved, not just by the network but by the masses. People flocked to their funerals and collected mementos and other fan memorabilia. Up to this day, some of these actors attract visitors to their niches, signifying their undying fandom. Since Pinoy stars who died young get much attention here in our country, I’ve decided to make a little research on some of these stars, how they died and how the public reacted to their death. 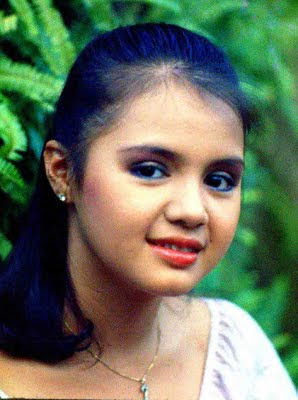 This two-time FAMAS Best Child actress was well-known for her roles in films such as Mga Mata ni Angelita and Durugin si Totoy Bato, as well as her popular role in the TV drama Anna Liza. Aside from her acting career, she is an accomplished singer too, having released an album entitle First Love. At the height of her career in 1985, the young actress started showing symptoms of a lingering disease which is suspected to be multiple sclerosis. While undergoing treatment for the disease in Quezon Institute, the actress contracted broncho-pneumonia which would complicate her condition. On May 6, 1985, the actress died of cardiac arrest as a result of her broncho-pneumonia. She was 16. At the time of her death, Anna Liza was being shown in GMA Network which considered at the time as one of the most popular soap operas in the Philippines. Her death left the storyline of the show incomplete and she left behind an unfinished acting and singing career. Filipino,s who have followed her career and who have loved her so much, were shocked of her death they even flocked to her funeral procession going to Loyola Memorial Park in Marikina City. Vega remains today as the first and one of the country’s soap opera princesses. 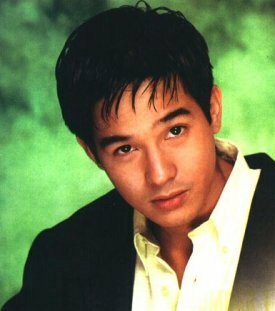 Rico Yan is perhaps the most famous of all the stars who died young. He died at the height of a full-blown acting and modelling career with home network ABS-CBN. He was made famous by the network for his boy next door roles in soap operas such as Mara Clara and Mula Sa Puso as well as the teen-oriented show Gimik. He also had notable appearances in films such as Ama, Ina, Anak, Home Along The Riles 2, Kay Tagal Kang Hinintay and Got 2 Believe, where he was nominated for FAMAS Best Actor award. Yan died at the Dos Palmas Resort in Puerto Princesa Palawan on March 29, 2002. He was 27. He died in his sleep due to cardiac arrest as a result of acute hemorrhagic pancreatitis (more commonly known in the Philippines as bangungot). At the time of his death, he was in a relationship with actress Claudine Barreto, who was his love team partner in most of his movies, but most especially in Mula Sa Puso, a soap opera which had a great following among Filipinos at that time. Like Julie Vega, his death also shocked the nation and created a cult following, mostly propelled by tributes made by ABS-CBN using various media and coverage of his wake and funeral at Manila Memorial Park. The country has hardly recovered from Rico Yan’s death a year before when reports of Miko Sotto’s death made headlines. Although not as popular as Rico Yan, Miko Sotto has made a name for himself as a bankable teen actor during his career at GMA Network. He comes from a long line of Sottos, his parents being Maru and Ali Sotto (the brother of Vic and Tito) and is a cousin of Oyo Boy Sotto (Vic’s son). He became popular in GMA Network’s teen oriented programs such as Click! and Kahit Kailan and had a relationship with Click co-star Angel Locsin at the time of his death. Miko died before dawn on December 29, 2003 as a result of falling from the ninth floor of the condominium building where he lived in Mandaluyong City. He was 21. He was apparently sitting on the balcony of the floor talking with cousin Oyo and other friends when he slipped and fell down. GMA gave the young actor a fitting tribute and his eyes were donated by girlfriend Angel Locsin to a needy patient who needed a new set of eyes. Marky Cielo (or Boknoy to his family and friends) is considered as one of the Good Boys of Philippine Showbiz. Throughout his career at GMA Network, he seldom figured in showbiz scandals and was most remembered for his stunning win as Starstrucks’s First Sole Survivor and as the first known Igorot actor in the industry. Raised by his single mother in Bauko, Mountain Province, Cielo’s rise to stardom began while studying architecture at Baguio City’s St. Louis University. There he became part of the dance troupe and was immediately known for his good dancing skills. Friends in turn persuaded him to join Starstruck and the rest was history. His Starstruck landed him an exclusive contract with GMA Network, Php 1 million, a livelihood package and a house and lot in Antipolo City. He has since appeared in many of the network’s programs such as FantastiKids, Encantadia, Asian Treasure, Zaido: Pulis Pangkalawakan, Sine Novela: Kaputol ng Isang Awit and LaLola. Despite his good boy reputation, his death is shrouded in mystery and controversy due to the network rivalry that ensued during his wake and funeral. Cielo died in his sleep on December 7, 2008 of what was apparently acute hemorrhagic pancreatitis (the same case as of Rico Yan). He was 20 at the time of his death. However, there was a lot of speculation on the true nature of his death, with some saying it was due to suicide or drug abuse. The speculations became even more widespread when GMA Network blasted rival ABS-CBN for airing footage of what was supposed to be a private wake for Cielo. In the end, both networks decided to respect the privacy of Cielo’s family and the speculations died down. Cielo was buried at the backyard of their Mountain Province home as customary in the Ibaloi tribe. His career hasn’t even reached its height but already fate has cut short AJ Perez’s life. Perez is one of ABS-CBN and Star Magic’s promising talents and had the similar boy-next-door appeal such as Rico Yan and Marky Cielo. He first appeared in commercials before being launched as part of Star Magic’s Batch 13. He has since graced television shows in the Kapamilya network such as Abt Ur Luv, Lobo and Agua Bendita as well as in movies such as Kasal, Kasali, Kasalo, Sakal, Sakali, Saklolo and Ang Tanging Pamilya. His last major TV appearance was as the lead male role in the afternoon soap opera Sabel opposite teen actress Jessie Mendiola. Perez died on April 17, 2011 as a result of car accident in Moncada, Tarlac. The night before, Perez was one of the stars who graced the Bangus Festival in Dagupan City, Pangasinan together with other Kapamilya stars. He was on his way back to Manila together with his father and few others when their van got hit on the side by a speeding Partas Trans bus. Perez was sleeping on the side of the van that was directly hit by the bus and died of his injuries. He was 18. Both Kapamilya, Kapuso and Kapatid stars where shocked of his death that it soon made headlines in major newscasts in all three networks. On the same day, ABS-CBN variety program ASAP Rocks! made a fitting tribute to the actor in remembrance of his short-lived career. Jojo Perez in real life. Tyron Perez was part of the first batch of potential artists in GMA 7’s Starstruck search in 2003. While he did not win in the search, it was enough to launch his showbiz career. He has since appeared in other GMA 7 shows like Bakekang and Lupin. After the death of his long time handler, Douglas Quijano, Perez’ career slowed down. This forced him to transfer to rival network ABS-CBN in the hopes of kick-starting his career once more. In ABS-CBN, he appeared in soap operas such as Momay, Mula sa Puso and regularly appeared in Maalaala Mo Kaya. He also appeared as the lead actor in a film about macho dancers in 2006 entitled Twilight Dancers. Perez married his long time non-showbiz girlfriend who is a flight attendant. Perez was reported to have had problems with his wife recently. He died on December 29, 2011 in an apparent suicide inside his car in Valenzuela City. His wife, family and friends in showbiz were shocked at his early demise. His death occurred on the death anniversary of another Kapuso star, Miko Sotto (see above), and marks the second time that a Starstruck member has died on a December, the first being Marky Cielo in 2008 (see above). Postscript: My condolences to all the fans, friends and family of Tyron Perez. May his soul have eternal repose in heaven with our Lord.